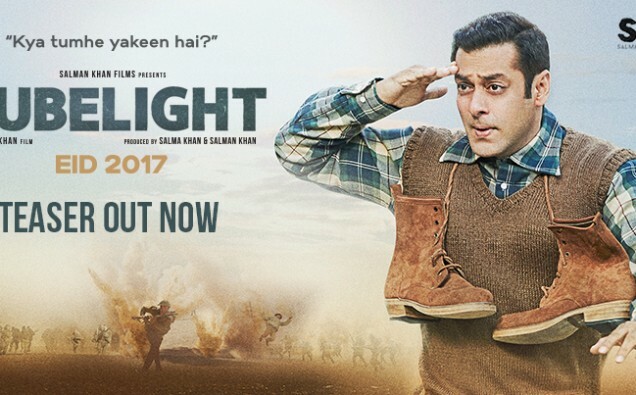 Thursday 4th May 2017 – The Bajrangi Bhaijaan makers are back with Tubelight and boy does the teaser wow the audience. A Salman Khan film can never disappoint and the Tubelight teaser is paramount proof. it opens with the Indo-China conflict and reveals the adorable child Matin and Chinese actress Zhu Zhu, who will be making her Bollywood debut with this film. What takes your breath away is Salman Khan’s introduction. Known for his unique entry in films, Salman is thrown in the air by a cheering crowd of people. From running around with a pair of shoes wrapped around his neck, to waving and doing his signature ‘salaam’, Salman’s cute yet adorable way of walking about will surely set the path for another trademark move in the history of Bollywood.